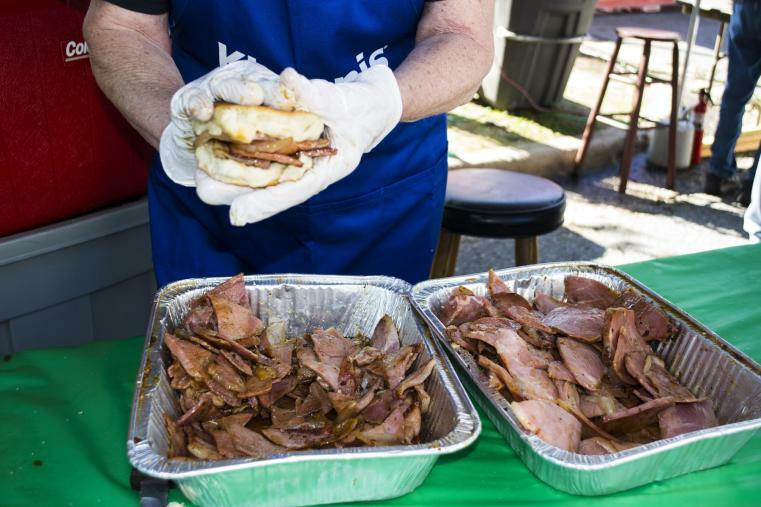 It&apos;s time for the Smithfield Ham & Yam Festival in Downtown Smithfield, scheduled for May 5th with a wealth of activities for the entire family and presented by Stevens Sausage and Agri Supply. The Ham & Yam Festival is a celebration of the agricultural history of Johnston County. The area was once a rural farmland where ham producers and sweet potato growers made a living. Because of this, the focus of the festival remains food. Attendees can find many varieties of hams and yams at the festival – barbecue from the cook-off, country ham biscuits, sweet potato cheesecake pies, sweet potato smoothies, sweet potato lemonade, baked sweet potatoes, yam cotton candy, sweet potato chips, baked ham sandwiches, and more! If you don’t know the history of the Ham & Yam festival you should read an older, but still relevant article, by Smithfield native Emily Wallace. You can access it here. If you do know the history of the Ham & Yam festival, then you know that this will be the 34th year. Natural Wonder will headline with a free concert scheduled for 8:00 p.m. on Saturday, May 5. Led by Gabriel Bello, a #1 Billboard-ranked vocalist, producer and multi-instrumentalist, Natural Wonder, the Ultimate Stevie Wonder Experience, channels the energy and artistry that has made Stevie Wonder an icon across decades and genres. Natural Wonder brings real musicianship, a dynamic show, and a deep, studious love of the Stevie Wonder legacy to the stage for an epic performance that recreates the look, feel, and sound of a Stevie set that blows audiences away. In addition to the free 8:00 p.m. concert on Saturday, May 5, there will be entertainment on the festival’s three stages throughout the day. “We are fortunate to have a large number of very talented up and coming musicians and entertainers here in Johnston County and North Carolina, and are pleased to be able to shine a spotlight on them at the festival,” states Edwards. A lady doesn’t divulge her age, but I will say that the Ham & Yam Festival has been going on longer than I’ve been alive, which means the Ham & Yam festival has been a staple of my life as a Johnston County native. I can see in my interest and anticipation for the festival how I’ve aged over the years. As a child, my joy in attending the festival was an impending glee regarding what wonders I could persuade my mother to buy me: sand art, a princess ribbon crown, possibly something I could have monogramed. As an adult, I take pleasure in a slow perusal of the vendors, looking for locally-crafted things I could use in my house: oh, look, handmade kitchen towels… I’ll take 8, thanks. Growing up has some hard truths to it. Maybe this year I’ll buy a flowing, sparkly ribbon crown just to prove a point to myself. 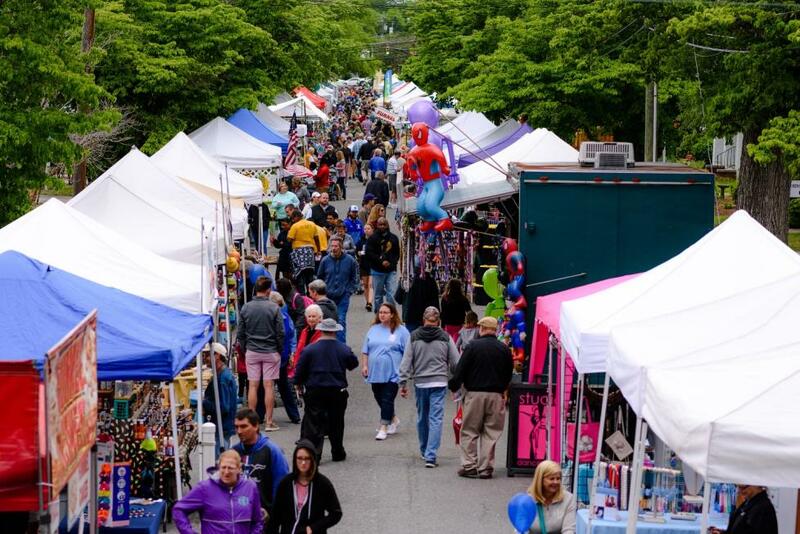 A full schedule of events on Saturday, May 5 will attract thousands of people to Downtown Smithfield, where the festival occupies several blocks. 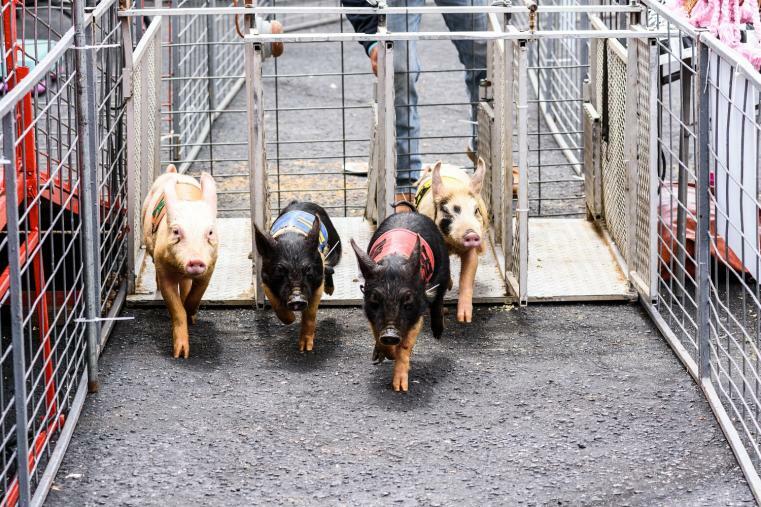 Craft and commercial vendors line the streets, food vendors offer a variety of fair foods and menu items featuring country ham and sweet potatoes, and additional entertainment comes in the form of pig races, children’s activities, and more. The Ham & Yam Festival is organized by the nonprofit Downtown Smithfield Development Corporation. To learn more about the Ham & Yam Festival, please visit www.hamandyam.com, or call Sarah Edwards at 919-934-0887.